Wondering how to stop your dog from barking at the TV? It never fails: I finally get my dog to settle down, we’re snuggled on the couch ready to relax, and I tune into my favorite show. Then it happens: a dog barks or a doorbells rings on the show and my dog flies into action! Dogs bark for many reasons, so it’s hard to find the right way to deal with an overly excited dog. But don’t worry because I’m going to help you teach your dog to behave when you turn on the TV. How to stop a dog from barking at the TV? I know how annoying it is to try watching your favorite show while the dog is barking insistently at the screen. How do you explain to Rover that the TV is just a machine and that there is nothing to be scared of or that a strange dog is not actually invading his home? Well, here are six tips that will come in handy. Have you ever wondered why some dogs bark at TVs? Well, as it turns out, dogs are capable of perceiving images on a TV. So, they can recognize other animals or threats on the screen and might react by barking because they are afraid. Dogs also perceive images faster than us, and their hearing is far better than ours. That’s why sometimes they are confused by all those rapidly moving pictures, and the sounds are too loud for their sensitive ears. You should also remember that the dog might not realize that the loud shouts are coming from the TV. He might think that there is an actual threat somewhere in the house. Excitement – all the movement and the sounds are just too exciting for your little pooch, and he has to express his feelings. Bad associations – for example, if your dog doesn’t like cats and see them on the screen, he is going to react. Habit – once your dog figures out that barking gets him something, he will start doing it on purpose. Now that you know why your dog is barking at the TV, you should find out what shows and programs trigger this response. Rover might get exciting by nature’s show because of all the interesting animal or action films full of loud noises such as shouting and shooting. Observe him for a couple of days to determine what is most likely to get his interest. In this way, you’d be prepared to intervene when that show comes on the TV. A tired dog is a good dog. You’ve probably heart that not once or twice. So, right before you’re about to watch something that will trigger Rover’s barking, spend time with him. Take him for a walk, play with him or have a fun training session. Your goal is to get rid of any excess energy that might prompt the barking. What’s more, once you establish a routine before TV time, Rover will start to associate TV time with pleasant things. One way to stop a dog from barking at the TV is to use the method “Time out.” It’s a very simple exercise. When your dog starts barking, lead him out of the room to a quieter place and shut the door. Wait 30 seconds, then let him back into the family room. If he starts barking again, repeat with a longer duration. Don’t think of this as punishment so much as separating Rover from the stimulus and giving him a moment to settle down. Another way to desensitize your dog to the TV is to teach him to be “quiet” on command. You do that by using positive reinforcement. Turn the TV, but do not turn the volume very high. 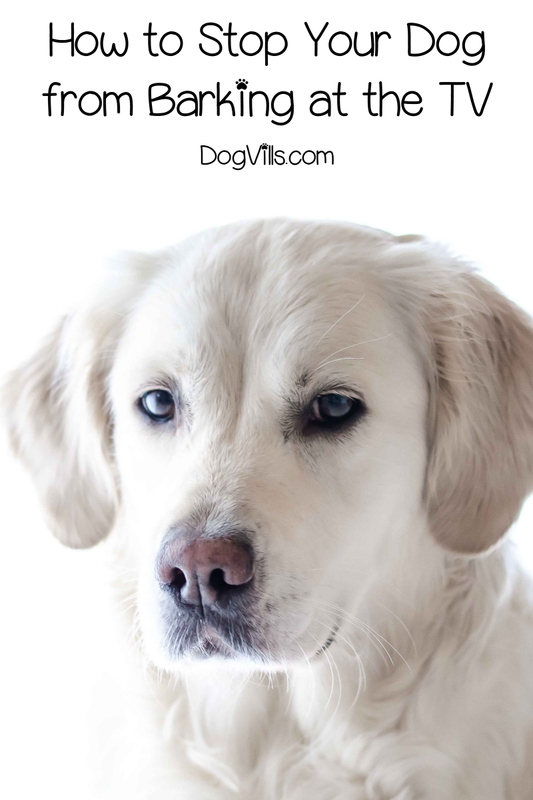 Watch your dog for signs that he is about to bark and give him treats as long as he is staying calm. Also, don’t forget to praise him. 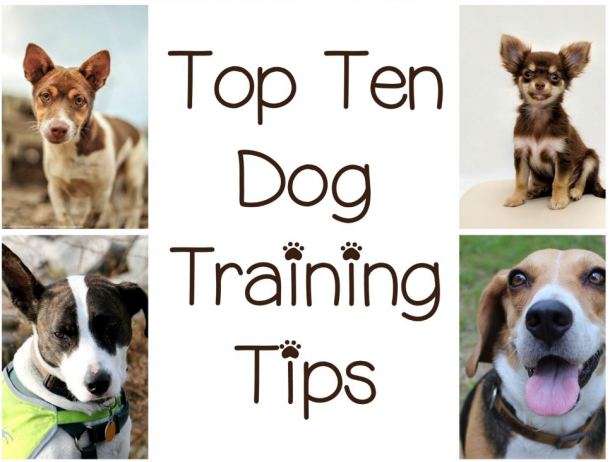 Start to increase the volume of the TV slowly and continue to observe your dog’s reactions. The sounds and images will likely start to distract him, so be ready. When you see that Rover is about to bark, you should intervene immediately. Say firmly “No,” and stop giving him treats. Wait until he is calm again before you start giving him treats again. Turn the volume down to keep the distractions to the minimum. Give him his favorite toy and play with him to give him the attention he needs. As you’ll discover, it’s important to be consistent and patient. Also, remember to start playing with Rover before he starts barking or the barking turns into a habit. In addition to this, make sure that you’re not encouraging the behavior in some way. What do you think about these tips on how to stop a dog from barking at the TV? How did you do it? Tell us your story in the comment section. I've grown up surrounded by animals - dogs, cats, cows, goats, sheep, and horses and that has shaped me into what I am today - a crazy cat lady who always has a place for one more cat (or a dog). I've got two female cats - Kitty and Roni, and two tomcats - Blacky and Shaggy, but I also feed my neighbors' cats when they come for a visit. I just can't say no to them. I discovered that writing is my vocation early in my school years. Since then I've taken part in several literature contests - writing horror and fantasy short stories and novellas. For the past three years, I've been an ELS teacher, pouring my heart into showing children and teenagers how important English is for their future and trying to educate them how to treat their pets with care.